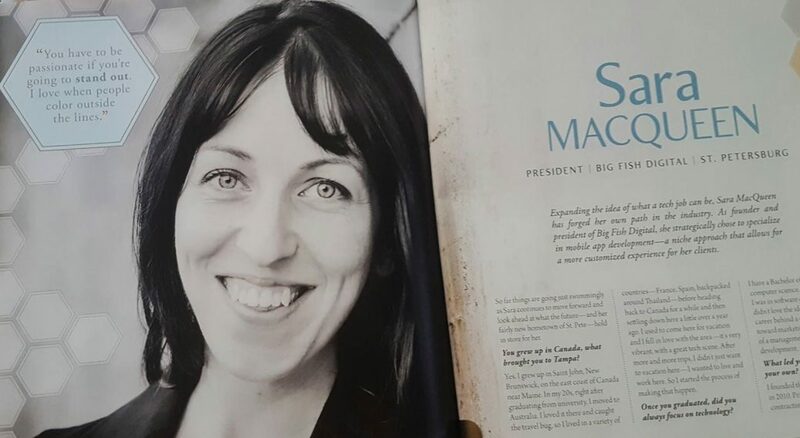 Sara MacQueen is the Founder and President of Big Fish - a boutique mobile app development company for the field services industry. She was named one of "25 Mobile Women to Watch" and has been interviewed by local and national media for her expertise in mobile technology and business. Big Fish is a full service app design and development company in Tampa, Florida. We address the growing need for custom mobile applications in industries whose workforce is primarily in the field. We help field service teams view and update work orders while on the go, logistics companies track their fleet, service companies create a customer experience made for the mobile generation, and more. We’d love to help bring your vision to life. Please visit our website to request a consultation if you’d like more information about working with our team.